Why you should replace your oil a full 2 weeks prior to a road trip rather than in the days prior. 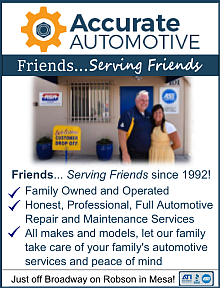 How much should an oil change cost? What are you really paying for when you opt for more expensive oil services? Is there a noticeable difference between different oil brands? How to check your own oil effectively. 2013 Ford Focus: While giving my vehicle some gas, I’m hearing a grinding noise. Is this clutch related? 2016 Ford F250: The oil light in my truck has come on recently, even though I’m still 3k miles away according to my calculations. Should I still have it changed? 1989 Chevrolet Blazer: Is it a myth that you should not have your oil changed prior to an emissions test? 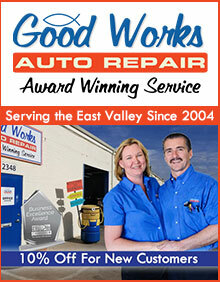 2005 Dodge Durango: I’ve taken my truck to the car wash for the majority of my oil changes. Are there other preventative maintenance services I may be missing? 2002 Dodge Ram 1500: What should be my first steps if I’m noticing problems with my transmission? 2005 Cadillac Escalade: After changing the transmission fluid, 3rd gear is starting to slip. What could be causing this? 2006 Toyota Tacoma: What information can you give me about the airbag light in my truck? 2013 Nissan Altima: Is it common for a car of this age to be needing a new transmission? Cars talked about on this show are the 2013 Ford Focus, 2016 Ford F250, 1989 Chevrolet Blazer, 2005 Dodge Durango, 2002 Dodge Ram 1500, 2005 Cadillac Escalade, 2006 Toyota Tacoma, and the 2013 Nissan Altima. 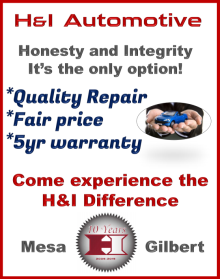 A Bumper to Bumper listener calls back in to thank Matt and Dave for recommending H&I Automotive! Our Arizona coverage area includes, but is not limited to Ahwatukee, Apache Junction, Avondale, Buckeye, Camp Verde, Carefree, Casa Grande, Cave Creek, Chandler, Clarkdale, Cottonwood, El Mirage, Eloy, Florence, Fountain Hills, Gila Bend, Gilbert, Glendale, Goodyear, Guadalupe, Litchfield Park, Marana, Maricopa, Mesa, Paradise Valley, Peoria, Phoenix, Queen Creek, Scottsdale, and Tempe. Counties include Maricopa County, Pima County and Gila County. Bumper to Bumper Radio and BumpertoBumperRadio.com are the sole property of MBH Marketing LLC All rights reserved and use of marks, images and content is strictly prohibited unless authorized.